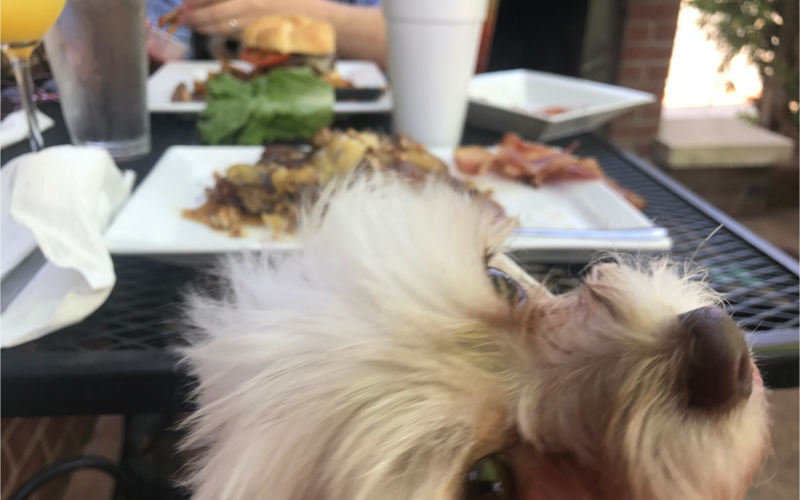 Living in the Charlotte area, I am often asked of Charlotte and surrounding towns, “where do the locals eat?”. One of the most frequently inquired towns is without a doubt, Belmont, NC. Belmont is growing rapidly and is more popular than ever. With that said, I have listed a few of the current places that Belmont locals frequent. Of course, these are just the best highlights that come to mind and there are many more amazing restaurants not mentioned. I think my favorite things about Belmont, NC restaurants is the restaurant owners. Eating in Belmont over the years, I have witnessed several positive interactions with restaurant owners and the community. For instance, I have personally seen at least two of the places listed below participate actively in local fundraisers. Another example is how involved the owners can be in making sure customers receive a fantastic experience. I guess that is part of the beauty in small town restaurants. Belmont will also have several new restaurants with upcoming shopping centers near the soon-to-open Harris Teeter and across the street from Aldi. I am excited to try out the new spots and will likely have a few restaurants to add to this list very soon! 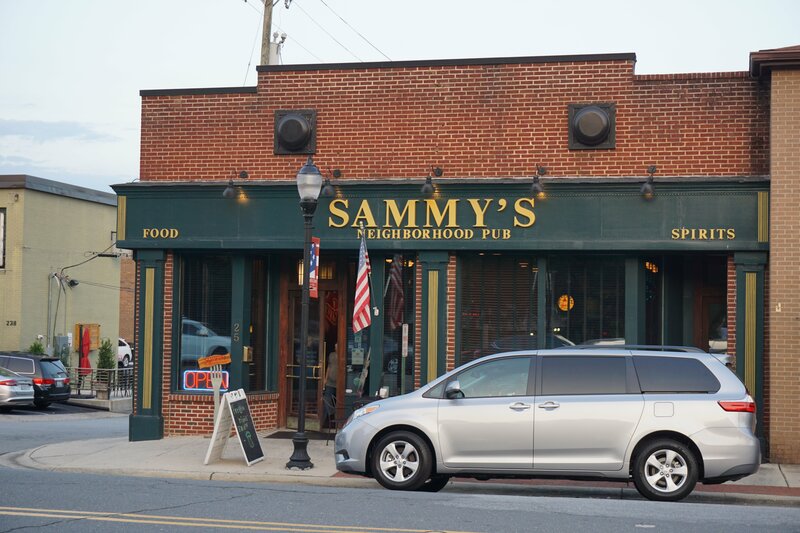 Sammy’s Pub: Sammy’s is so much more than just bar food, but I feel like they top the list of Belmont bars for locals. You will likely have to wait on a table (especially in the evenings), so try lunch if you are in a hurry. 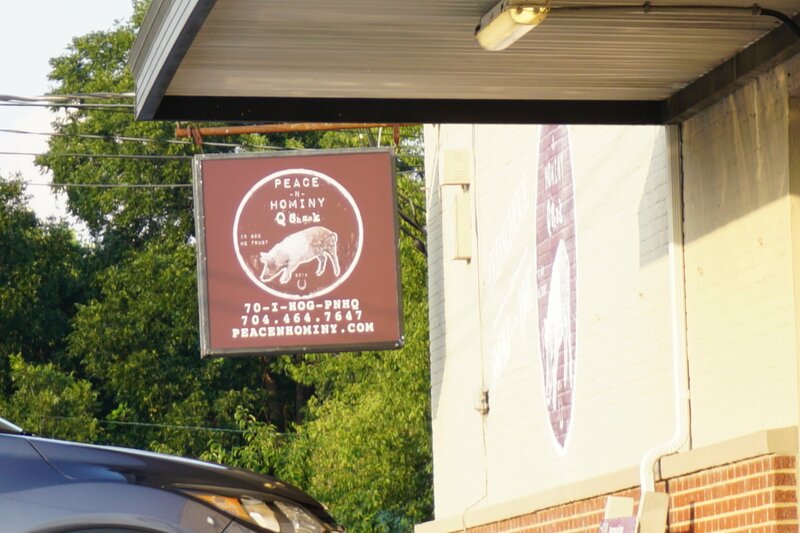 Peace n’ Hominy: If you have a hankering for barbecue while in Belmont, this is the place to be. My favorite day to go here is actually on Sundays because they have a delicious brunch with vegetarian options! My husband gets the barbecue plate but I get several of the breakfast tacos with scrambled eggs, cheese, pico and more! 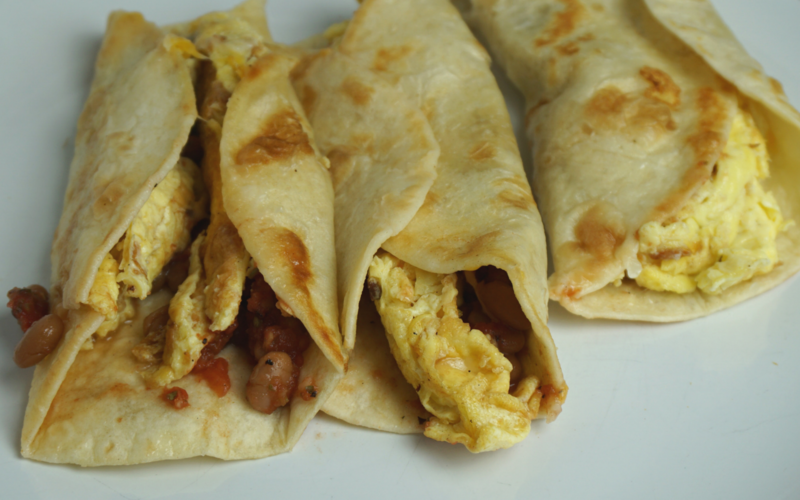 Make sure you try: Cheesy Grits and make sure to take a trip on a Saturday or Sunday for the yummy Taqueria breakfast burritos. 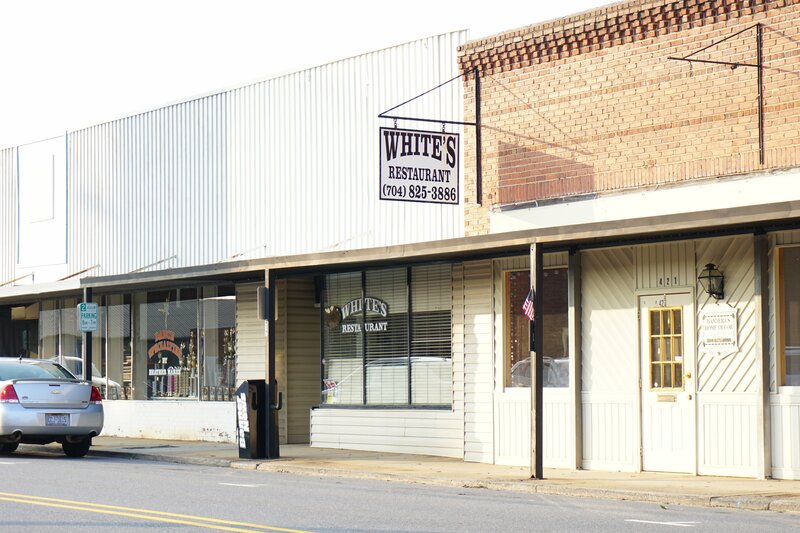 White’s Restaurant: Mr. and Mrs. White are absolutely precious, and serve up a hot and tasty breakfast as early as 6 am! You can also get a home cooked lunch, cafeteria style during the week. 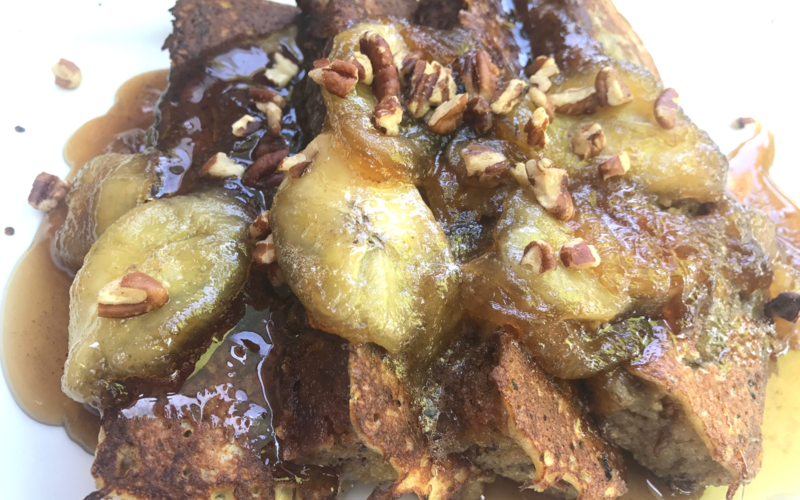 The String Bean: I just can’t get enough of The String Bean brunch! The only problem you will have is deciding what to order. I haven’t tried anything I didn’t like! Plus, the patio is the perfect spot to wake up with a Mimosa. Sadly, brunch is currently only served in the summer and fall on Saturdays only. I recommend arriving a few minutes before 10 am to get a great seat outside. They often have live music starting at 11 am on Saturdays, so if you have to wait on a table, you will be entertained while you wait. 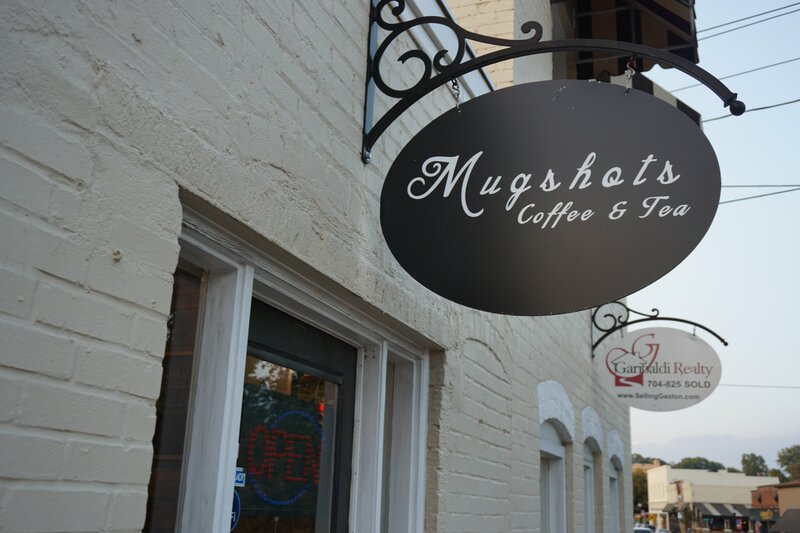 Mug Shots: Mug Shots is my favorite new place to get coffee in Belmont, NC. The two owners are extremely hospitable and so much fun to talk to. Be prepared to wait in line on most days, and be ready for handcrafted beverages that will blow your mind. Simonetti’s: Jerry Simonetti, owner of Simonetti’s, is all over Gaston County lately with new restaurants popping up. 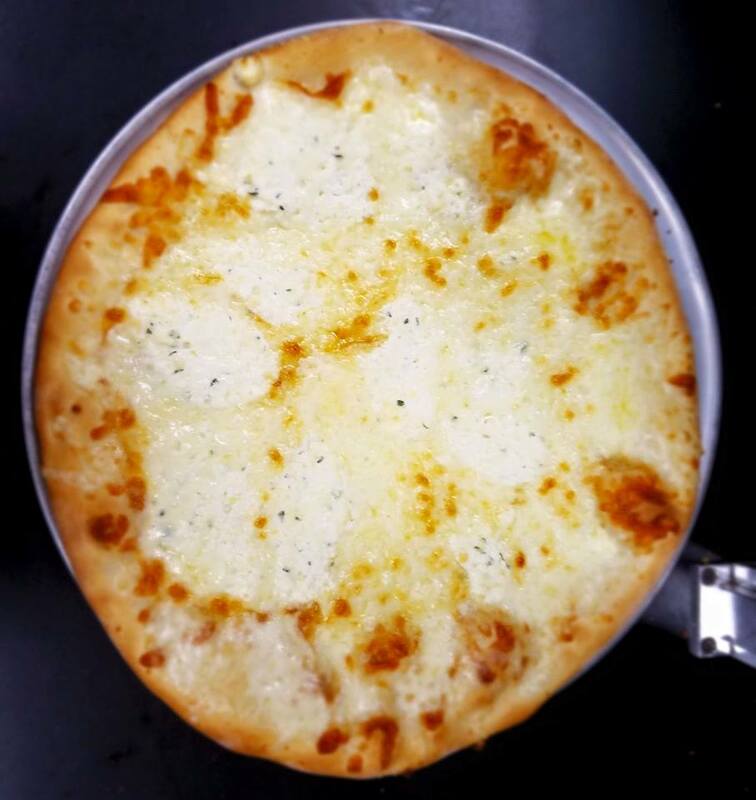 One of my favorites is definitely Simonetti’s pizza. I also love that I can order just a couple of slices at a time – a perfect option for two person families and singles. 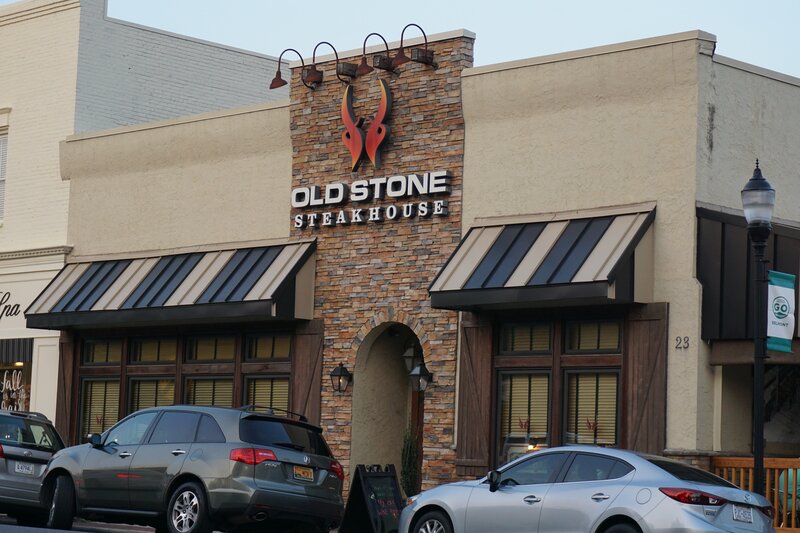 Old Stone Steakhouse: My husband and I love coming here for lunch because he can eat steak while I try to choose between several delicious vegetarian options. As a vegetarian, the first time I was invited to lunch at Old Stone, I was kind of dreading the assumed salad and baked potato. Much to my surprise, there are a shocking amount of vegetarian options on the Old Stone lunch menu! Even more surprising to me is that one of their salads tops my list of favorites. Leave the bacon off the Baby Arugula and Kale Salad and you will be in love with salad again! 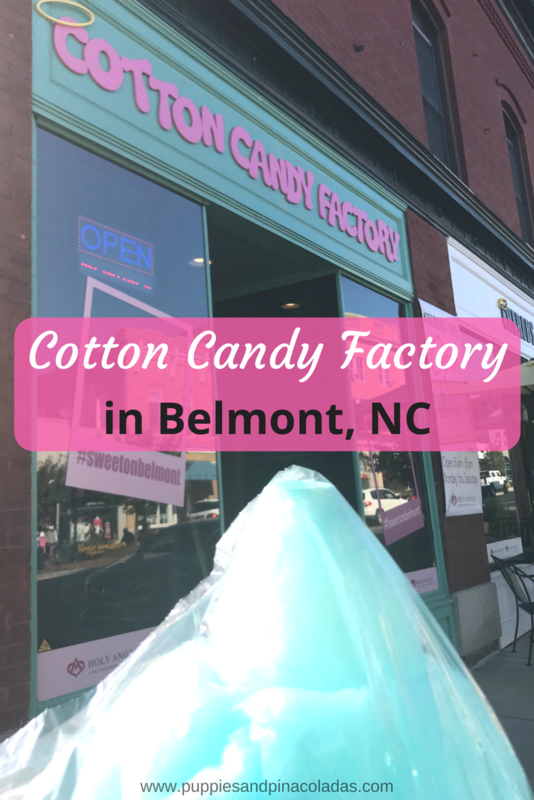 Cotton Candy Factory: Pick from tons of flavors of cotton candy or spin your own. There is also a huge selection of candy! Even better, the proceeds benefit Holy Angels! Pearlee and Cille’s: Oh my gosh…this place! Choose from a nice variety of donut flavors and watch them be made right in front of your eyes. They are delicious! The donuts in the picture above are Pumpkin Spice, but they also have other fun flavors such as Salted Caramel and more. 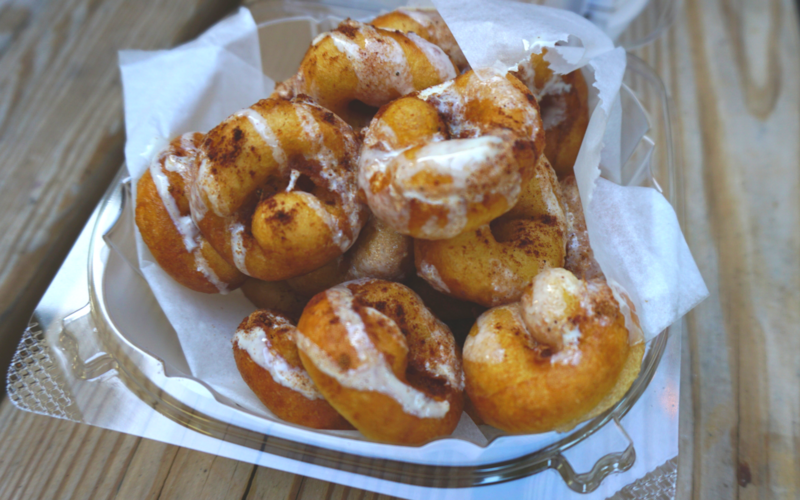 Donuts are the specialty here but you can also get gluten free desserts, coffee and more! 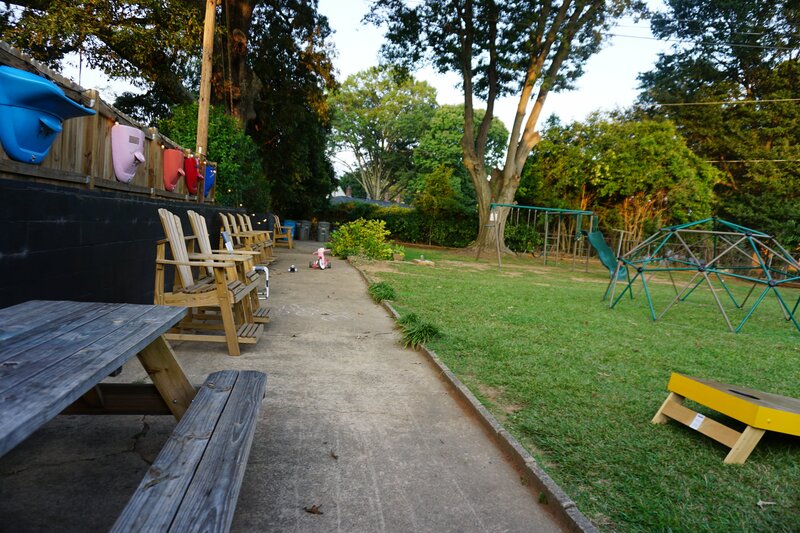 There is also a dog and kid-friendly backyard with plenty of seating. I am only a fur-mom but I imagine this would be a fantastic place for moms to meet up with their kids! 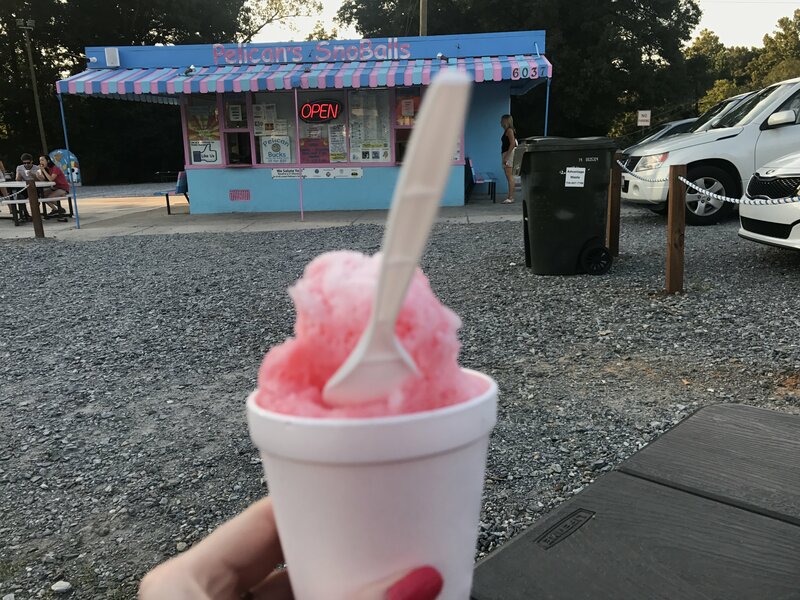 Pelican’s SnoBalls: YAY for another dog-friendly dessert spot!💃 I cannot say enough good about Pelican’s for a delicious and dog-friendy activity that us locals love! If you visit Belmont in the summertime, be sure to stop by and get a delicious SnoBall. Sammy’s Pub: Again, this is a super popular place for locals to hang out and drink, as well as to eat. 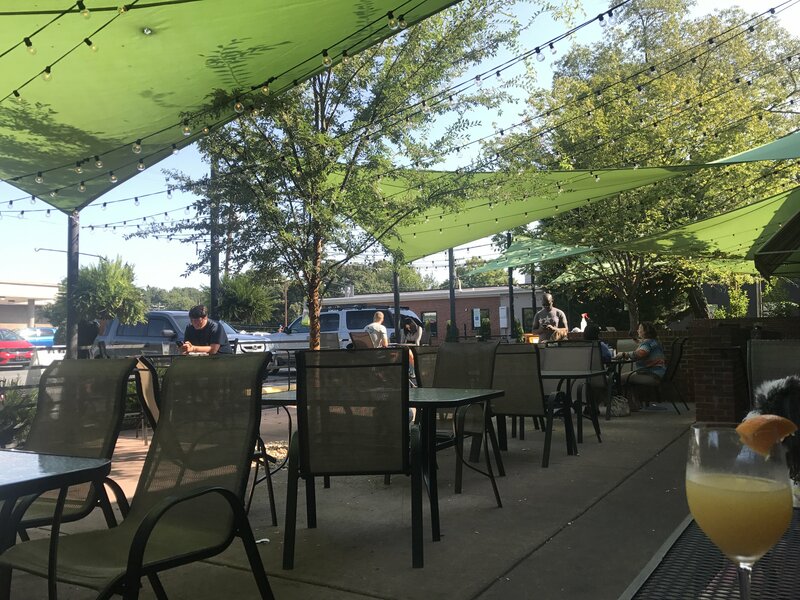 The String Bean: Another second mention, The String Bean is always packed with locals at night – especially on the adorable patio! Head inside to pick out your own craft beer, or have it with dinner. There is a huge wine selection as well and you can grind your own coffee. Yum, yum and yum! Caravan: If you are a coffee drinker, head to Caravan and sit outside with coffee and a pastry for people watching and local chat.